Musings of an Average Mom: How to Make Cleaning a Habit. How to Make Cleaning a Habit. Cleaning comes natural to some of us, and the rest of us ... are just slobs, or at least semi slobs. 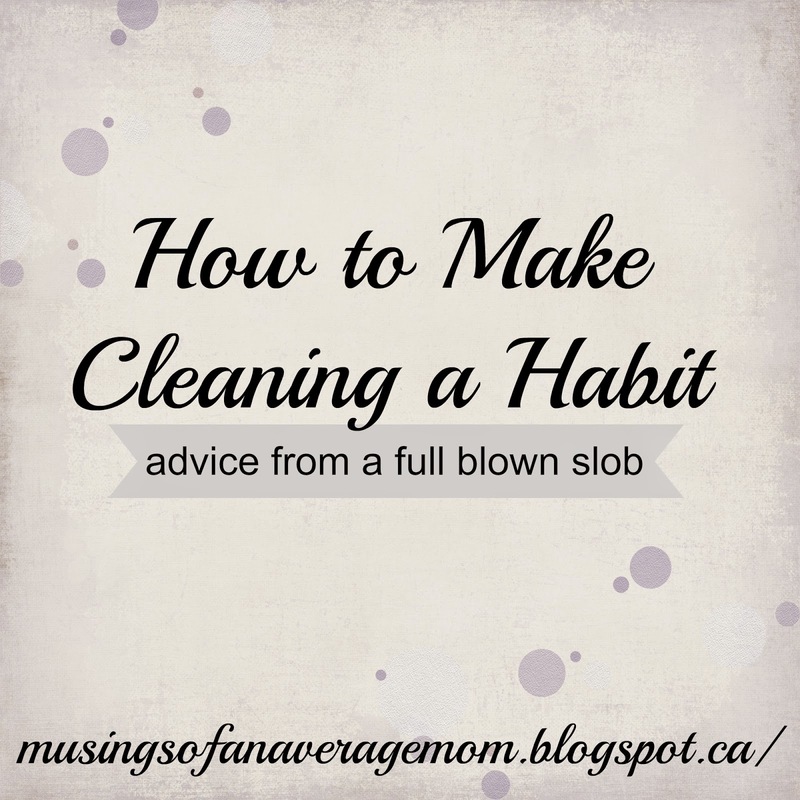 I probably fall into the full blown slob category although I do try to keep a clean home, I often come a little short. And the reason for this? Is because I don't clean up after myself (and my family) quickly and efficiently enough. So how can we learn to clean up after ourselves and our husbands and our toddlers and kids and/or teenagers? Clean up immediately after your done a task. If you finished breakfast do the dishes before moving on, kids have pulled out a 100 piece toy, try to find ALL the pieces before moving on, take a couple minutes to put your clothes away at the end of the day instead of throwing them on the floor in a fit of exhaustion and immediately passing out in your unmade bed. And yet this sounds easier than it actually is. We get distracted by dirty diapers, phone calls, tired children and nap time and just life in general. If you get sidetracked try to remember to come back to that mini mess as soon as possible before it becomes a full blown mess. When I I was younger I worked as a waitress and I always felt a little behind, while women 3 times my age were running circles around me because they were more efficient - one trip to the kitchen and they had the 4 items they needed where as I was constantly running back and forth because I forgot this, or didn't anticipate needs. The same general concept can be applied to housework. Grab things that don't belong in a room or straighten up two or three items when you exit a room. I started keeping two little baskets in my main living space and adding all the items that go upstairs in one basket, and all the items that belong in the basement in the other basket. This way I could put everything away at once so I wasn't making several trips for one or two items and could put away multiple items at a time. I'm sure we all hear make your bed because you are less likely to have an untidy room, same goes for kitchen sinks, bathroom counters, dining room tables or coffee tables. There is generally a central item in a room and once you have cleaned it, you only have to straighten a few more things for the room to be tidy. It may not be easy to go from a house that looks like a small tornado hit it (with kids toys!) 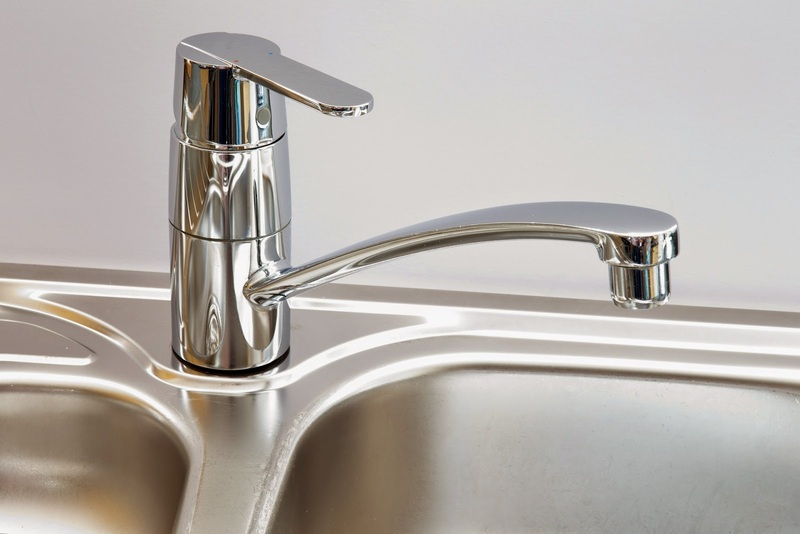 to an immaculate house so just choose small tasks and generally add to them as you get them under control. For instance I try to have all the dinner dishes done before kids bath time and now that I have made that a habit I try to clean off the coffee table before bedtime and I usually end up cleaning up the entire living room because its almost clean anyway. And I'll be letting you know how to make a simple cleaning schedule and a round-up of my favorite cleaning hacks shortly. Do you have any cleaning tips for keeping your home tidy? I would love to hear them.